American writer and journalist, feature writer at The Washington Post; winner of the Pulitzer Prize (2004) for her monograph Gulag: A History, which is a reconstruction of one of the world’s most genocidal institutions. At the end of the 1980s and at the beginning of the 1990s, she was a correspondent for The Economist, for which she wrote about the fall of communism and transformations taking place in Poland. In 1995 she published the book Between East & West, which was also translated into Polish. In 2012, she was nominated for the National Book Award, one of the most prestigious literary awards in the USA, for Iron Curtain: The Crushing of Eastern Europe, 1944-1956. She is the Director of Political Studies at the Legatum Institute in London, where she holds classes in political and economic relations. As a private person, she is the wife of Polish Minister of Foreign Affairs, Radosław Sikorski. She is the author of From A Polish Country House Kitchen (2011), which was published in Poland by Wydawnictwo Literackie as Przepisy z polskiego ogrodu. On 25th October in Radio Kraków will take place a first run of Anne Applebaum's radio drama Radio behind Iron curtain. 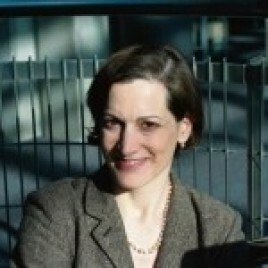 Next meeting with Anne Applebaum will take place in International Culture Centre on 26th October at 6pm.